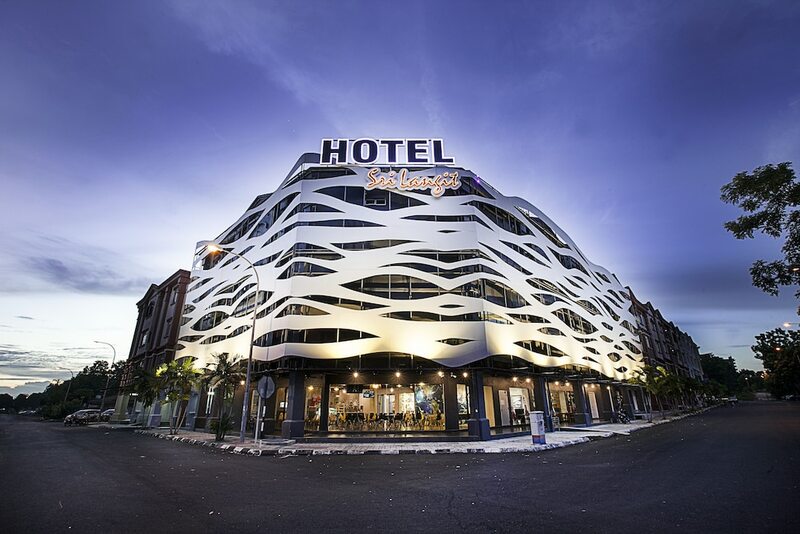 Situated near the airport, this hotel is within 6 mi (10 km) of Taman Rekreasi Kuarters KLIA, Sepang International Circuit, and Sultan Abdul Samad Mosque. Mitsui Outlet Park Klia Sepang and National Automobile Museum are also within 9 mi (15 km). This hotel features a fitness center, a bar/lounge, and a coffee shop/café. Free WiFi in public areas and free self parking are also provided. Additionally, 24-hour room service, conference space, and free use of bicycles are onsite. All 94 rooms offer free WiFi, 24-hour room service, and flat-screen TVs with cable channels. Other amenities available to guests include free bottled water, showers, and free toiletries. Sri Langit Hotel KLIA features a fitness center and complimentary bicycles. The hotel offers a coffee shop/café. A bar/lounge is on site where guests can unwind with a drink. A computer station is located on site and wireless Internet access is complimentary. Event facilities measuring 1400 square feet (130 square meters) include conference space. This business-friendly hotel also offers tour/ticket assistance, multilingual staff, and dry cleaning/laundry services. For a surcharge, the property provides an area shuttle within 15.00 km and a roundtrip airport shuttle (available 24 hours). Limited complimentary onsite parking is available on a first-come, first-served basis. Start your morning with a buffet breakfast, available each day from 5 AM to 10 AM for a surcharge. Room service is available around the clock. Recreational amenities at the hotel include a fitness center and complimentary bicycles.